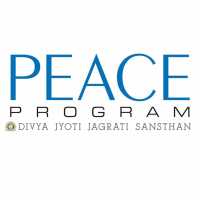 PEACE (Personal Enhancement to Achieve Corporate Excellence) is a corporate workshop wing of Divya Jyoti Jagrati Sansthan (DJJS) that undertakes conferences, lectures, talks and workshops for the working professionals in corporate houses, government & non-government departments and companies. Under the noble mentorship and blessings of H. H. Ashutosh Maharaj Ji (Founder & Head, DJJS), PEACE caters to both Personal & Professional dimensions of an individual's life by triggering in him 3S: Self-assessment, Self-awakening & Self-realization! The life-transforming workshops of PEACE are uniquely innovated with a catalytic appeal which seeps into the very core of one’s persona, thus potentiating an atomic metamorphosis within and without.